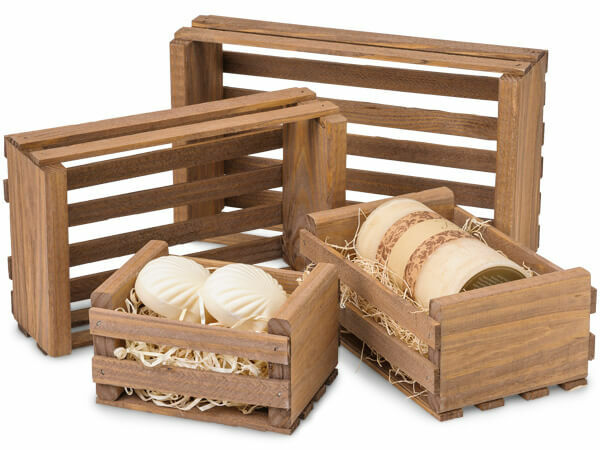 Crate sets made in the USA from Southern Pine. Each set contains 4 different sizes of crates. Choose from Natural unfinished with spaced wood slats, slot handles finished with an oak stain, or wood slats with Early American stain. Perfect for soaps, bath products, jellies and more!